It was really hard to move away from Berlin at the end of July 2013. Really, REALLY hard. So hard that I’m not sure I could fully describe the sadness we felt on leaving if I devoted twenty posts to it. BUT…leaving places you adore is part of the deal when you’re blessed with a nomadic life of adventure, and so begins my new list of all the wonderful, delightful things I love about living in our brand-new adopted hometown of (enthusiastic drum roll, please) Arlington, Virginia! Before you start assuming I’m about to expound on how amazing it is to live so close to our nation’s capital, it’s not amazing enough to be number one on my list. That special honor is reserved for something I’ve dreamed of even before I could read (yeah, we’re talking decades): living within easy walking distance of a library. See that beautiful building up there? 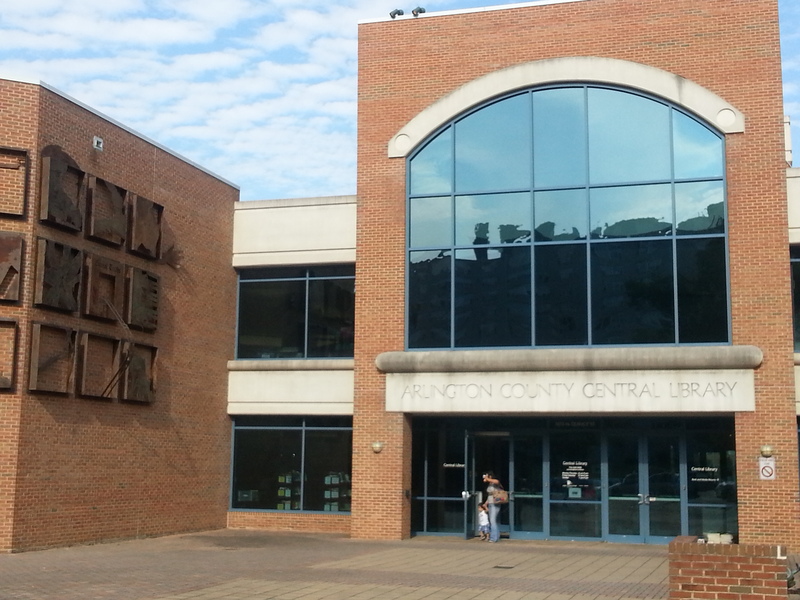 It’s the Central Branch of the Arlington Public Library system and it’s mine, ALL MINE!!! Okay, I do (generously) share it with thousands of others, but the little girl inside me who used to have to wait oh-so-impatiently until someone would drive her to the library each week is absolutely giddy to now live only a few minutes away from such a beautiful bounty of books. And the librarians, OH the librarians…but that’s another love of mine you’ll just have to wait for.